Learn more about how you can get convenient and affordable motorized shades in Agoura Hills! Are you sick of having to hand-draw your blinds and shades every day? It's not like it's this major hassle, of course, but seeing as how we're in the 21st century, it stands to reason for you to expect to have this process automated by now. Well, good news. That's definitely a possibility. 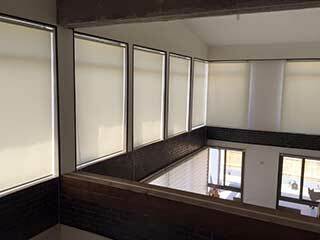 Motorized shades refer to window treatments (blinds as well) that can be operated via a remote control. You can even control them with your smartphone, depending on the motor model. Rather than having to manually use a set of strings to adjust them, you can simply use buttons. In fact, in many models, you can even set a timer that will open and close the shades automatically. You won't have to do anything! Can All Shades Be Motorized? Roller shades, in particular, seem to be a major favorite. They're the type that rolls down when closed and unrolls to open. They're usually made out of cloth which makes them very customizable. It's easy to see why they're a very common option. But they're certainly not the only type of window covering that can be automated. Wood blinds, roman shades, and even drapes can all be motorized. As for light filtering options, there's a range of choices. From complete blackout, to sheer with UV blocking capabilities and decorative embellishments. It all depends on your needs. Why Should You Consider Motorized Shades? Automated blinds make for a great addition to any room, but especially for those high windows that are out of reach. They'll allow you to maintain complete control of sunlight with absolutely minimal effort if any effort at all. This is especially important when trying to avoid any UV damage to paint, books, or furniture, that prolonged exposure to direct or indirect sunlight can cause. If you have children, motorized shades make for a fantastic cordless option that helps to ensure child safety, as well as provide comforting darkness, like in a nursery, for example, and all at the push of a button. Motorized shades can be quiet too, especially when the products come from a major brand like Somfy, for example. 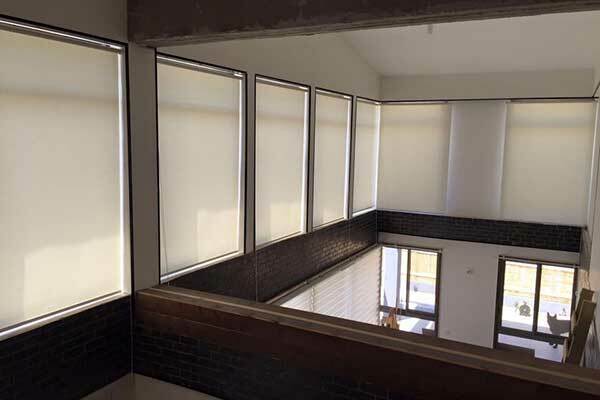 These automatic shades are particularly helpful in large homes with a lot of windows because there won’t be any need to go around adjusting each one by one, you can simply use the remote and be done with it. Agoura Hills Blinds & Shades is the nearest window treatment provider, ready to help you and every other local home and business owner with all their covering needs. After a free consultation at your home or office, and carefully measuring your windows, no matter how high or oddly shaped they may be, we’ll return with custom made shades that will fit perfectly so there won’t be any spaces for light to escape through. Motorized shades can improve every aspect of your home environment. Take the first step in making your home more current with modern interior fashions and better suited to control sunlight! Give us a call today.